The prize is given to people who have contributed to service to Islam, Islamic studies, Arabic language and literature, science, or medicine. 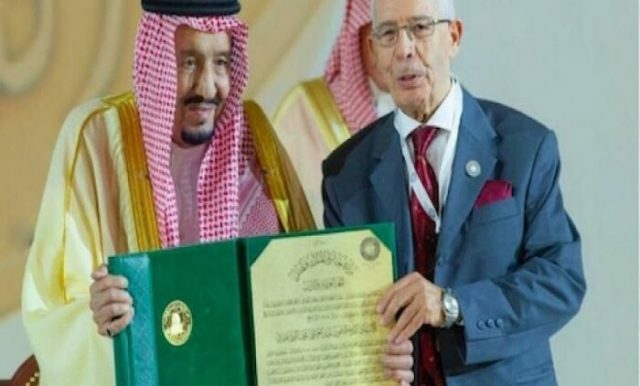 Rabat – A Moroccan professor at Mohammed V University of Letters and Human Sciences, Abdelali Mohamed Oudghiri, has won the 2019 King Faisal International Prize for his contributions to Arabic language and literature, alongside Egyptian Mahmoud Fahmi Hijazi, a professor at Cairo University’s Faculty of Letters. Saudi King Salman Ben Abdelaziz Al Saoud handed out the prize in a ceremony at the Al Faisaliah Hotel in Riyadh on Sunday. Morocco’s ambassador in Riyadh, Mustapha Mansouri, attended the event. The King Faisal Foundation sponsors the annual award, which is dedicated to people whose contributions make a positive difference. The foundation, which was founded in 1976, awards $200,000 prizes in five categories: Service to Islam, Islamic studies, Arabic language and literature, science, and medicine.